← The Runner up – COUNTERBLAST! DR. ZARDOV has been Spotted! While putting together some of the studio models for COUNTERBLAST I noticed there was a surprising coincidence with the plastic domes for the GDF troops and some of the Bots models. I wish I could say this was planned from the beginning but that’s part of what makes this hobby fun, flashes of inspiration to fuel creativity! It seems that a couple of the plastic domes are exactly the same size as the collar sections of the HLpR Bot chassis and the BdE Bot chassis. Since they are bots there is really no reason for them to need bubble helmets but the image stuck with me. 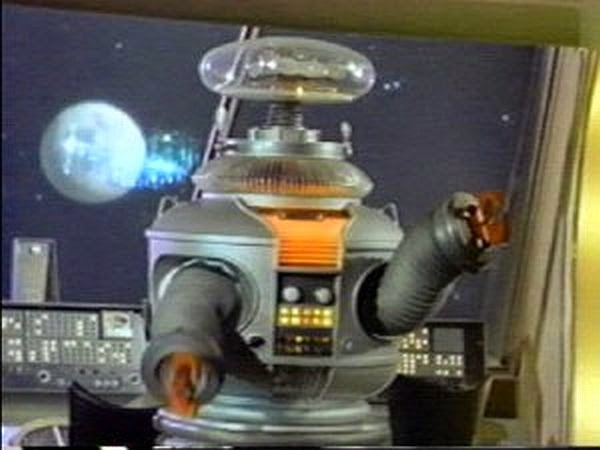 So I started thinking whether I wanted to add gizmos like inside the dome on the Robot from Lost in Space or something else. 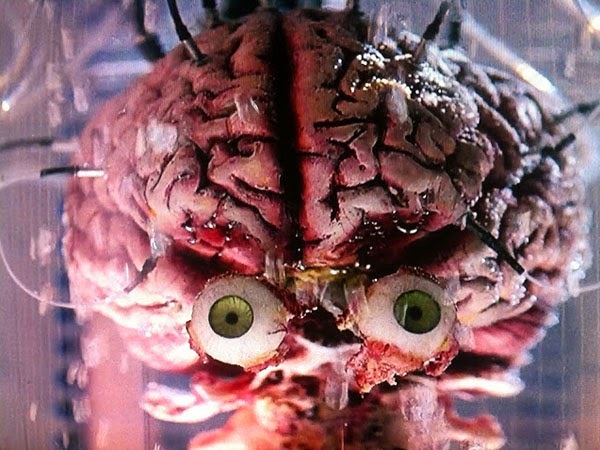 It would be way cooler, and more pulp in nature, to put floating brains in there! You can check out some more cultural and aesthetic implications of the trope brain-in-the-jar like I did here. 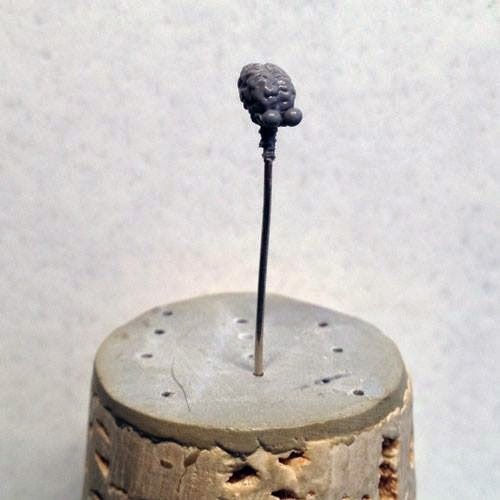 So after looking at that I sculpted up a few brains to go with my Renegade Bot Lancer crew. But the leader needed to be special, with a menace like Darth Vader. So, after researching some appropriate pulp-sounding names I settled on Dr. Zardov. I told Vicky about my idea for the characters and how he was experimenting with Mekkus technology when something went wrong. She set about to write his backstory and work up what stats he and his crew might have. In the meantime I made a few other brains and assembled the parts for my crew. It would be one thing if this was a one-off project, but why keep all this coolness just to myself? 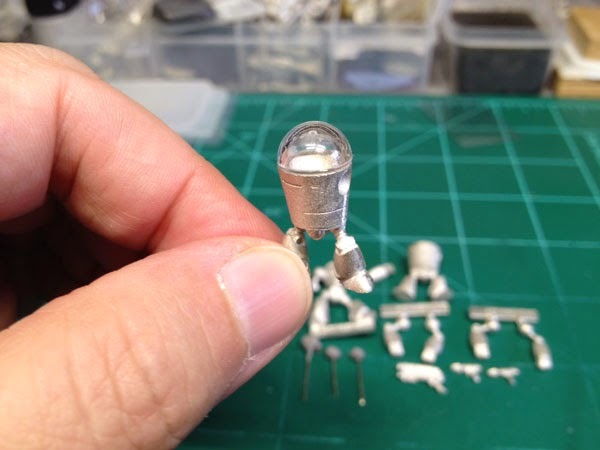 Bombshell Miniatures is all about the fun of hobby gaming! 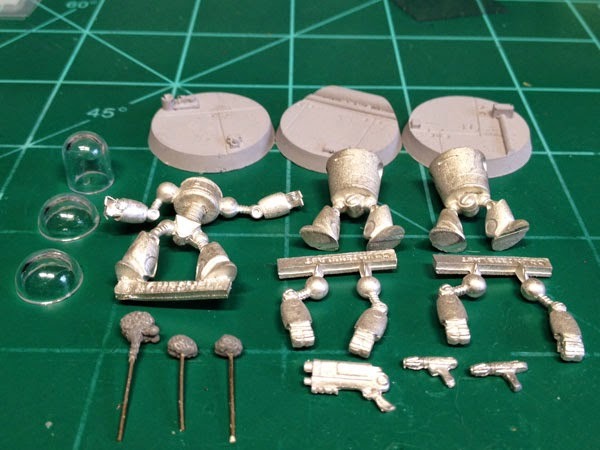 So, I sent off a few extra parts to be mastered and as soon as they come back, we will be offering a Lancer Faction Starter Set for Dr. Zardov and the Robot Menace with all of the parts for you to convert your own Renegade Bot crew. 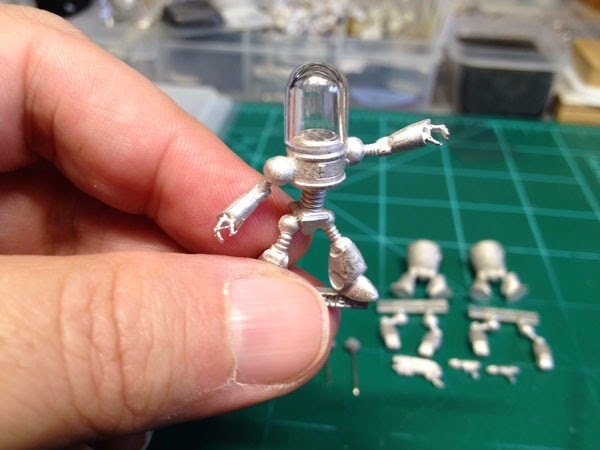 We will have a bundle deal available at a special price to make Dr. Zardov and all of his robot minions. 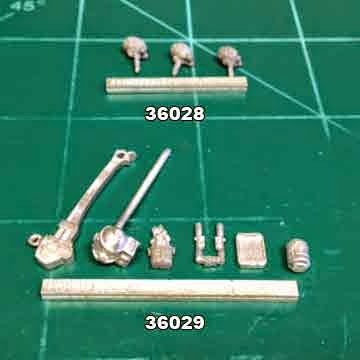 Plus, the brain sprue and an all new equipment sprue including Maelee’s wrench, an air tank, tool pouch, weapon scopes, data pad, and ultonium container, will be available separately so that you can make your own conversions, too! This entry was posted in Counterblast. Bookmark the permalink.